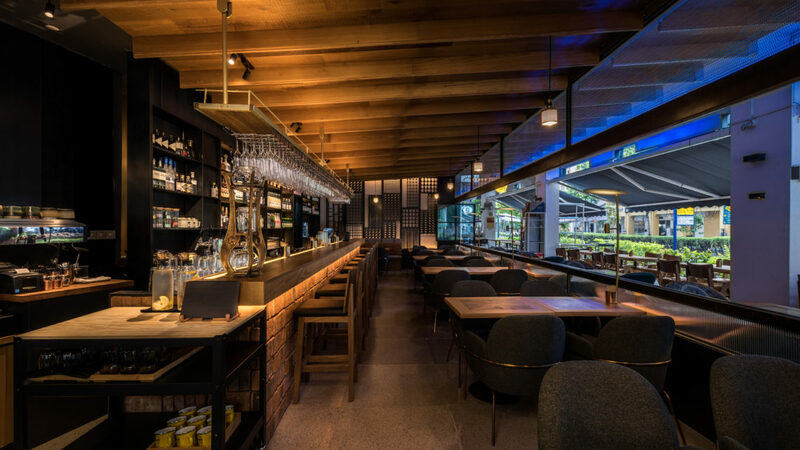 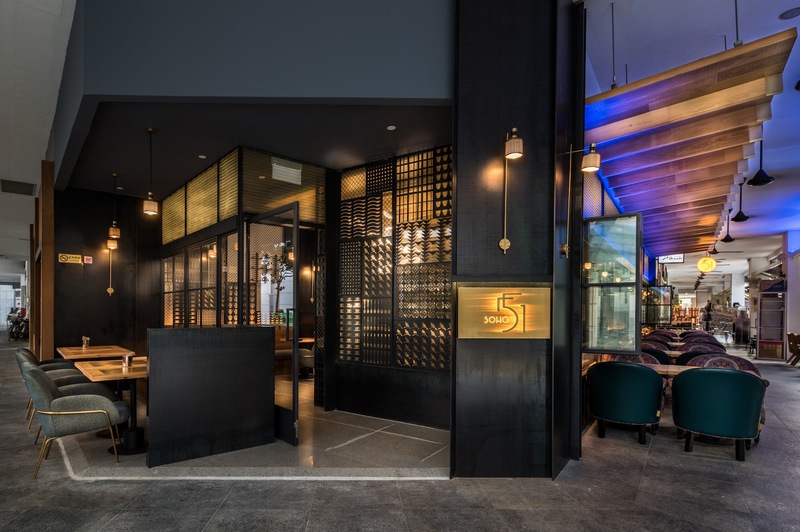 Recently opened within the China Square Food Centre complex in the city fringe Telok Ayer district, 51 Soho differentiates with its social all-day dining concept – paired with cuisine and beverages that reference both traditional Chinese and European flavors to create tasteful, satisfying dishes. 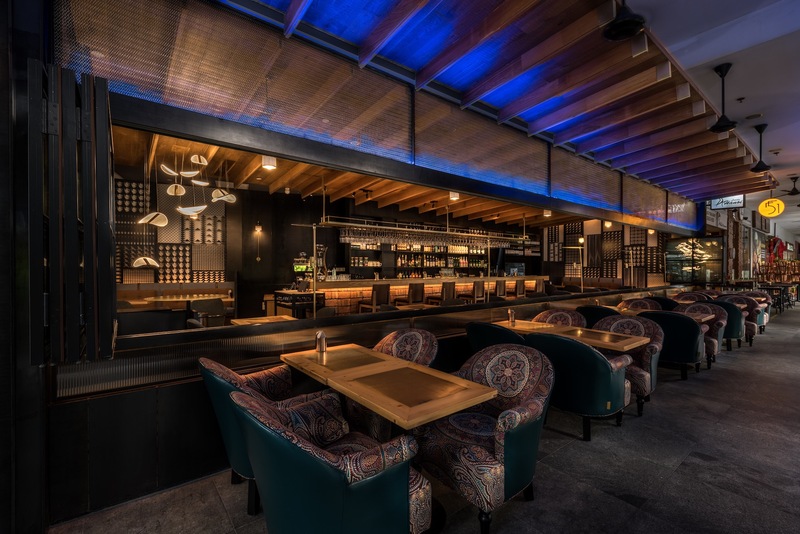 Design Taking inspiration from traditional Chinese courtyard houses, natural textures of stone and wood combine attractively to create a comfortable atmosphere for both social dining and business discussions. 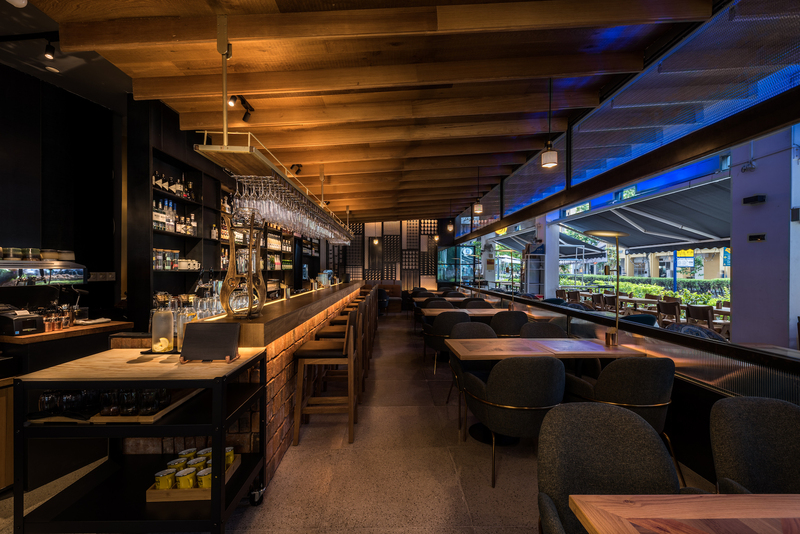 Customers are welcomed by a facade of geometric windows, beyond which a series of spaces meld seamlessly – the amber-hued, long timber cocktail and coffee bar adjoin the spacious indoor/ open-air dining area that features invitingly comfortable dining chairs. 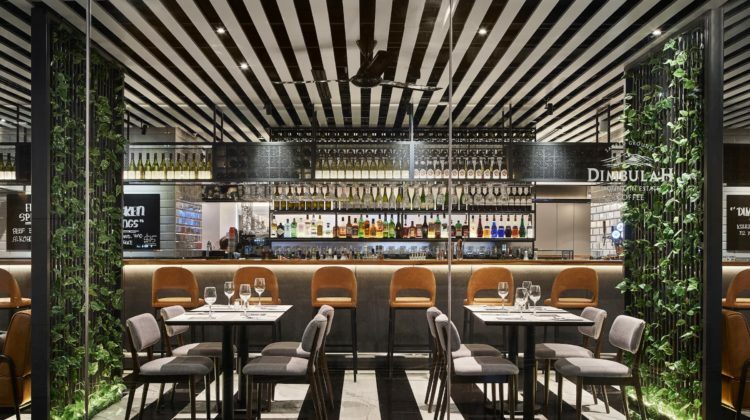 Interior colors are muted – with colorful patterned soft furnishings providing some visual highlights. 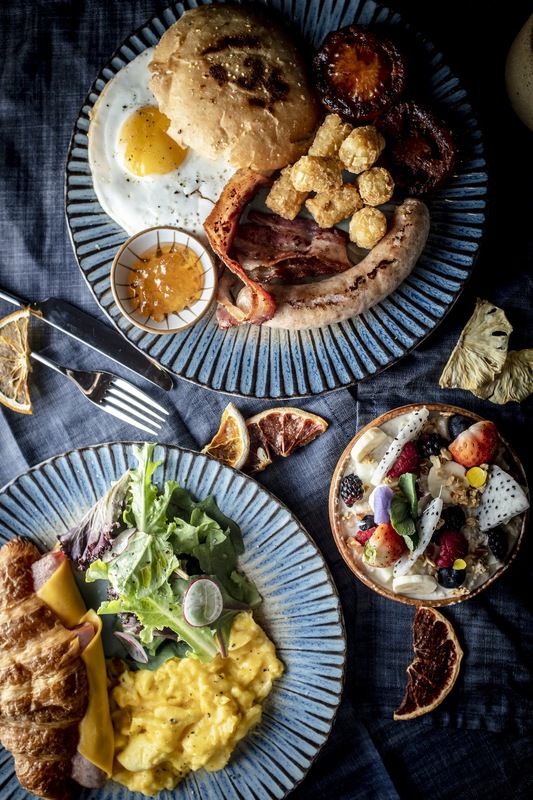 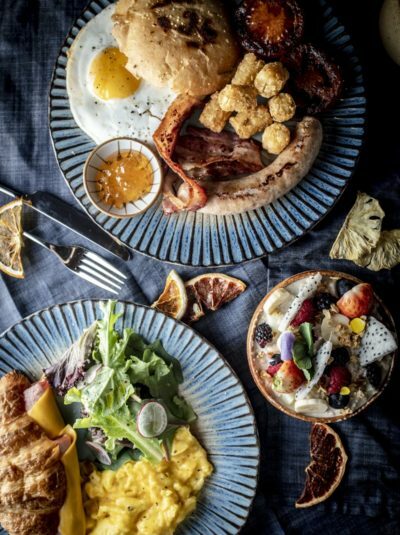 Cuisine An all-day dining concept commences with Breakfast choices like Croissant served with ham, cheese, and eggs – while big appetites are satisfied by the Big Breakfast platter – with hash browns, tomatoes, sausage, sunny side up egg, and English muffin. 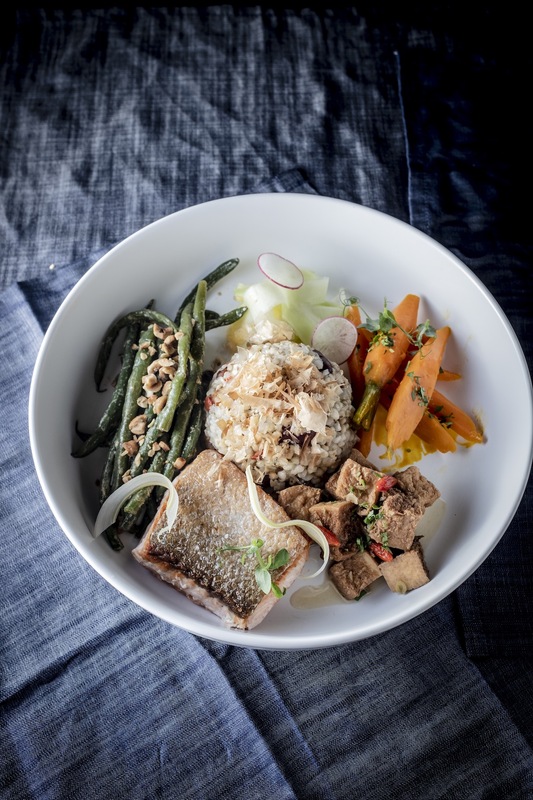 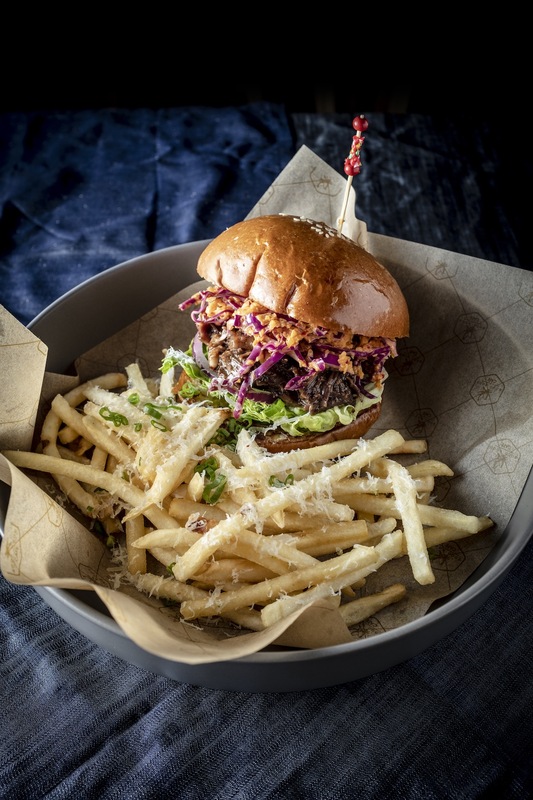 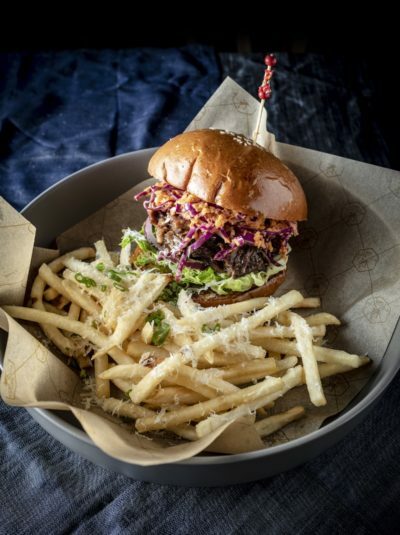 Popular options for lunch include the elevated one-bowl dishes – customers choose from carefully prepared options of proteins and carbohydrates, toppings and add-ons – standout proteins include Smoked Duck Breast and Pan Roasted Half Lobster. 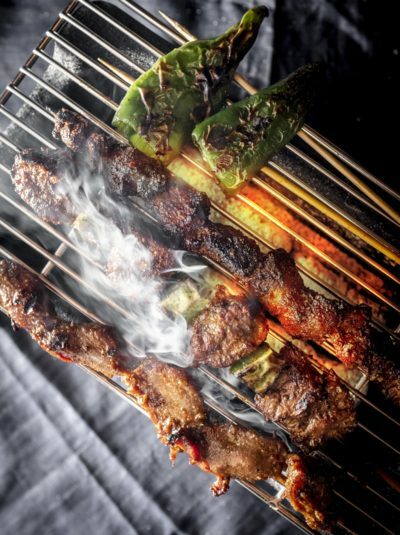 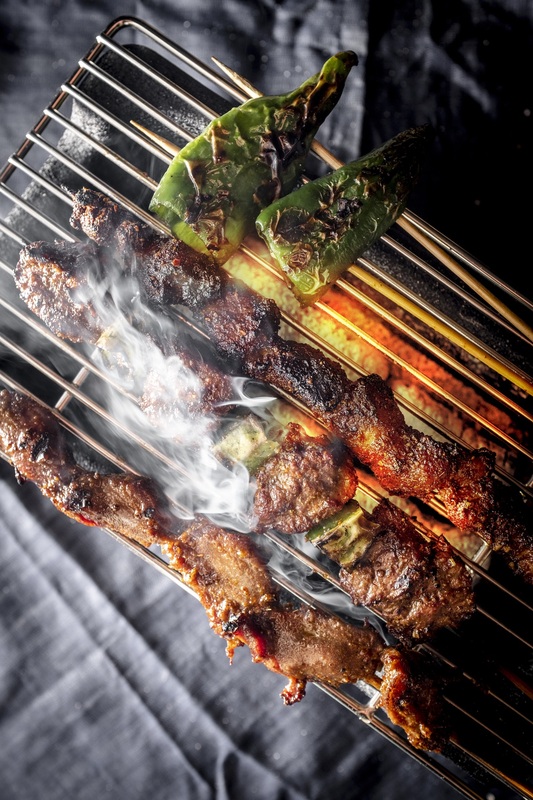 And for dinner, charcoal-grilled skewers with an assortment of meats are a popular choice – and substantial mains include Spice de Canard and Lobster Rice Stew. 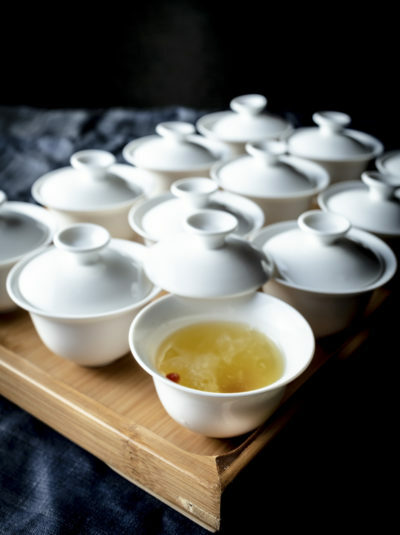 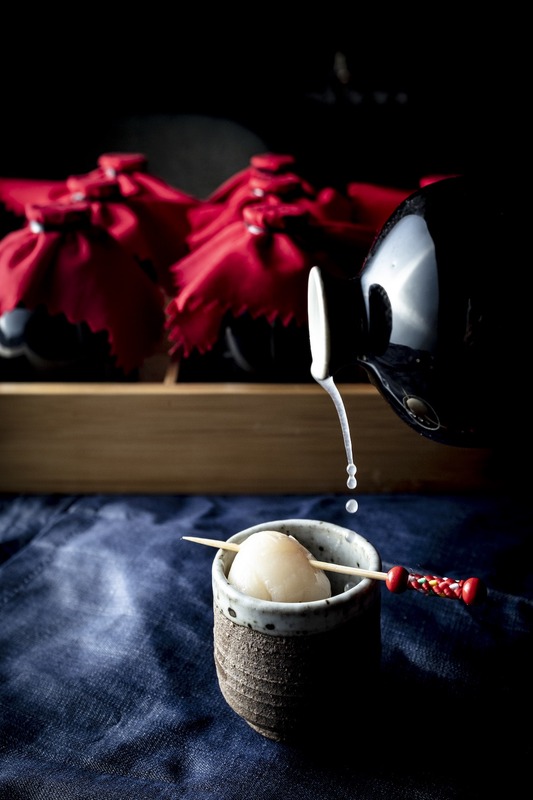 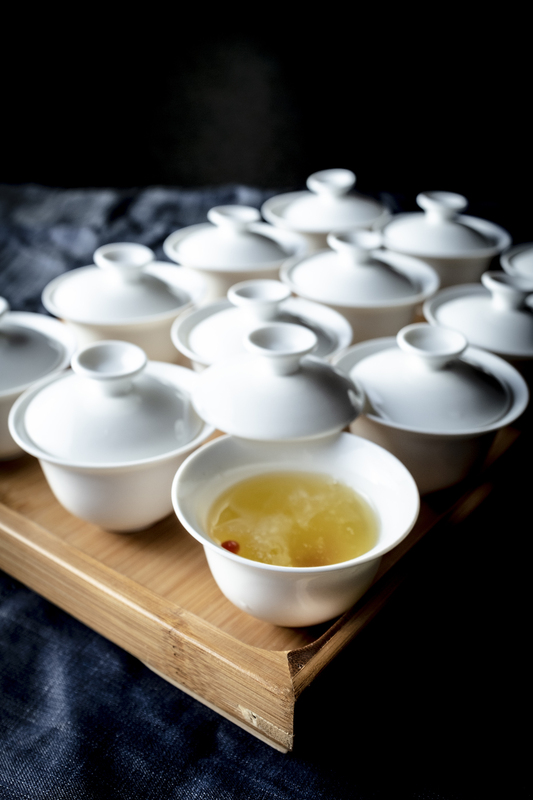 Drinks An eclectic drink list features the Chinese drinking house-inspired 51 Soho Specials – a collection of original drinks derived from traditional rice, plum and bamboo wine recipes – attractively served in small ceramic pots that mimic traditional jugs used to ferment wine. 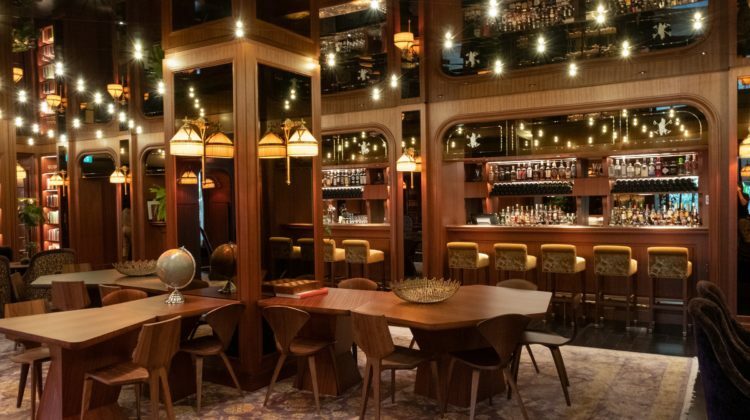 Other options include classic cocktails created with a cross-cultural twist – while coffee aficionados will savor the ground-to-order fresh coffee beans. 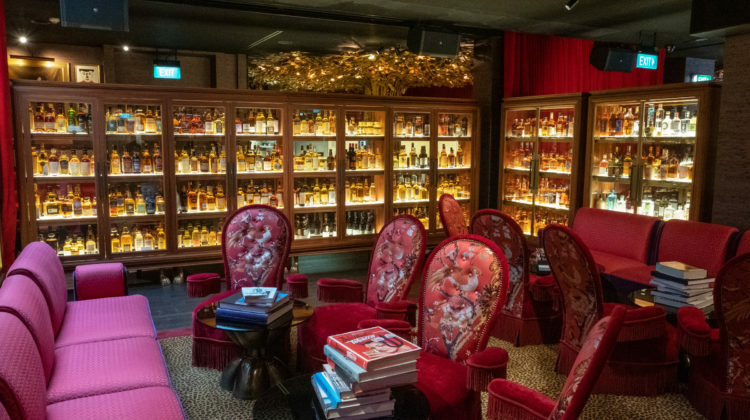 Conveniently located to the CBD at 51 Telok Ayer, 51 Soho opens from 8 a.m. on weekdays – and 10 a.m. on weekends – with closing at 10 p.m.